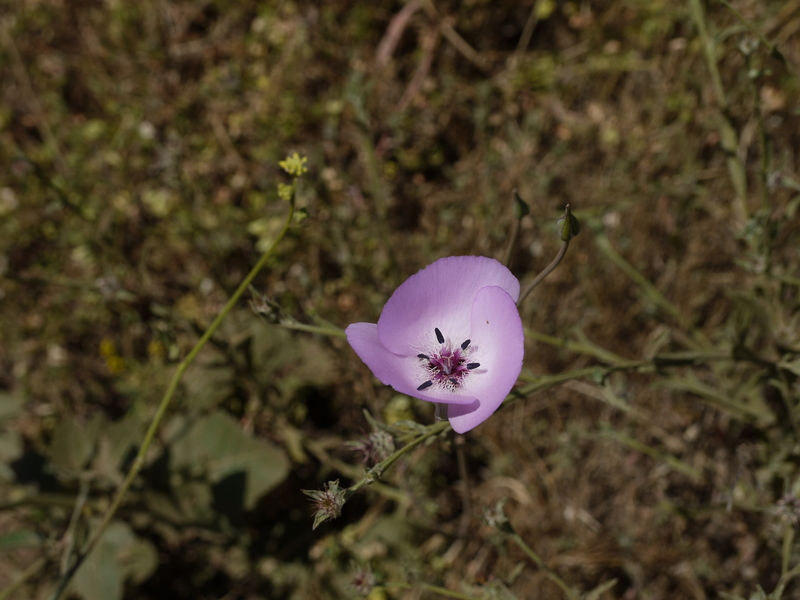 It was a beautiful May Day and after completing errands in the morning, my mom and I decided to go for a short hike near Lake Hodges in Escondido. We began our hike on the south side of the pedestrian bridge. Crossing the bridge was very refreshing as the cool breeze from the lake was a welcome respite from the high temperatures. Once we got to the north side of the lake, we turned left and headed west. Everything was blooming! I love this time of the year when the mustard flowers are at their peak and you can see patches of yellow in the distance. 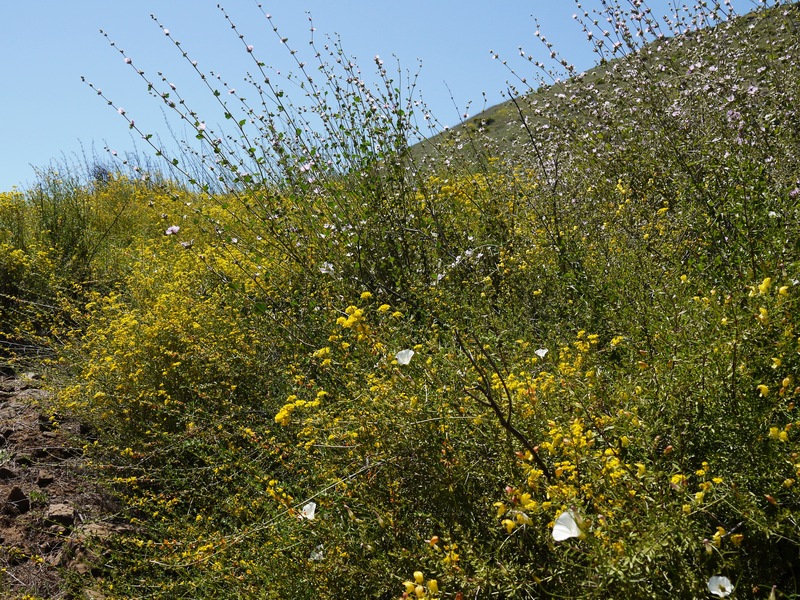 On this trail you can opt to go up to Bernardo Mountain which gives you a nice view of the lake and surrounding neighborhoods, but my mother didn’t feel like it due to the weather. So we headed towards the boat dock. We did see kayakers and boaters, including this cute mini sailboat. At the boat dock we turned around and headed back towards the car. 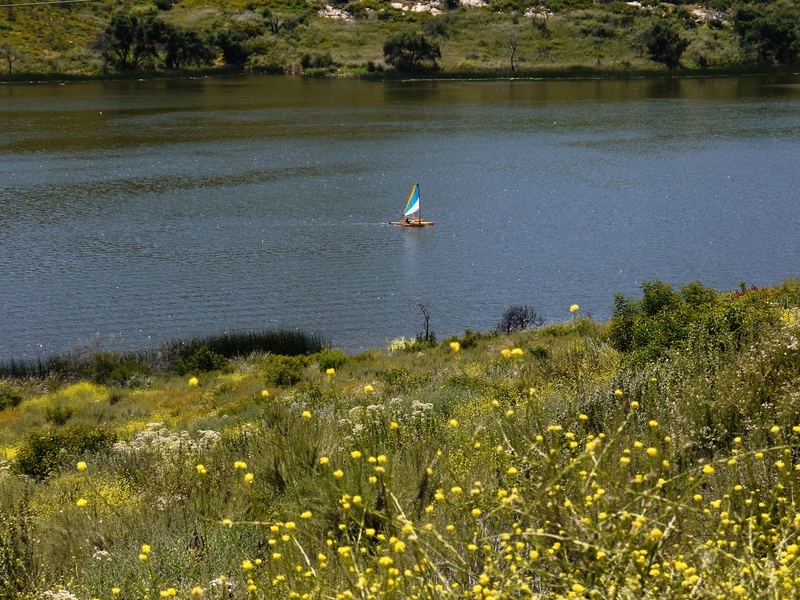 If you’re ever looking for something short and tranquil, then Lake Hodges is for you. Although don’t go on the weekends because it’s popular with mountain bikers. I prefer during the week after work.